The Wisconsin Online Tools Training (OTT) provides a hands-on preview of the item types included in the Wisconsin Forward Exam. In the OTT environment, students will practice signing on, selecting a test session, responding to different item types, using the many tools available in the testing system, and navigating the review screen. To watch tutorial videos on the tools used in the exam, click on DRC INSIGHT Online Assessment Tutorials. To practice using the tools and seeing what types of questions are on the exam, click on Online Tools Training. On the next screen, students should click on students. Then they will be able to click on the different test types and the grade level to practice the test. The following grades are tested in reading and math. Certain grades have more tests as is stated below. 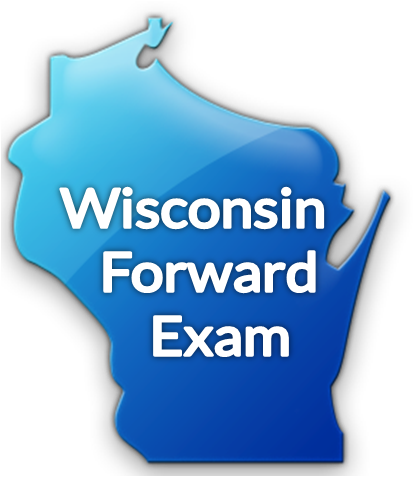 The Wisconsin Forward Exam will take place the weeks of March 18th - May 3rd.